You are an ESL student. You live in New York City. 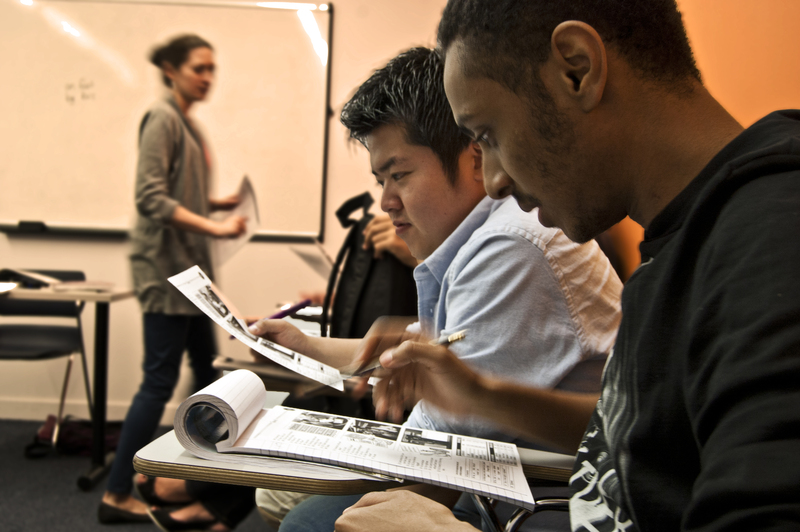 You spend your days in a classroom studying English at EC New York. You try hard to immerse yourself in the language, the culture, the environment. 1. Find groups of people who share your interests. What are you passionate about? What do you love doing? New York has thousands of communities organized around special interests. Find one and attend its meetups regularly. Be active on their web boards. Find out when and where they gather for activities. Having a common interest will give you lots to talk about that will take the emphasis off your language and you will probably learn a lot too. 2. Realize that most New Yorkers don’t think there’s anything unusual about having a conversation with a non-native speaker. This is absolutely, 100% true. I often don’t even notice. The truth is that most of the time, when I find that there’s a language barrier between myself and a stranger, I’m the one feeling guilty for not speaking his language! The daily life of the average New Yorker puts them in contact with people of all ethnicities and heritages, and we don’t think this is the least bit strange. If you’re worried that native speakers are judging you for your stilted English, don’t. Think of them like bees; They’re as afraid of you as you are of them. 3. Put yourself “out there”. No matter what techniques you use to lessen the discomfort of a new social situation, realize that being shy is natural, and that it does not necessarily mean you should run home to the safety of your homestay mother. It’s ok. Be afraid; but do it anyway. Ask someone on a date. Invite yourself to an outing. Be forward and aggressive in making friends. After all, if it doesn’t work out, once you go back to your home country, you’ll never have to see any of them again! Recommend these Tips for Talkers to your friends!